"You are an active member of the Earth's microbiome." 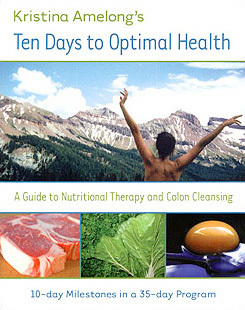 In January 2006 I published my book, Ten Days to Optimal Health. Now, nine years later, science is catching up with the reality that "death begins in the colon." 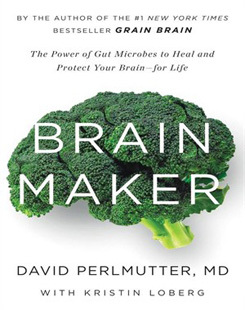 A book entitled Brain Maker: The Power of Gut Microbes to Heal and Protect Your Brain - for Life, by Dr. David Perlmutter, does a fantastic job explaining what "death begins in the colon" means through cutting edge science and why our microbiome is crucial to our personal and collective health. Dr. Perlmutter also explains the potent interplay between intestinal microbes and the brain, describing how the microbiome develops from birth and evolves based on lifestyle choices, how it can become "sick," and how nurturing gut health through a few easy strategies can alter your brain's destiny for the better. A 2013 report shows that since 1979, death due to brain disease increased 66% in men and 92% in women in the United States, which is connected to an unhealthy microbiome. In the ten wealthiest nations, deaths from brain disease - which largely reflects deaths from dementia - have risen dramatically over the past 20 years, which is connected to an unhealthy microbiome. The United States leads the way in dementia deaths. Mood and anxiety disorders are on the upswing, which is connected to an unhealthy microbiome. About 1 in 4 adults in the U.S. suffer from a diagnosable mental disorder. About 1 in 10 adults in the U.S. suffer from depression. Do you want to dramatically improve your health? Work through a home nutritional and colon cleanse program using Ten Days to Optimal Health and Brain Maker, with a home enema series process to optimize your microbiome. For support, contact the Optimal Health Network. An excerpt from Ten Days to Optimal Health: "This internal cleansing provides the intestinal tract and the immune system with a fresh start, since the water flushes out tremendous amounts of toxins, bacterial wastes, and decaying particles residing in the colon. Frankly, most people feel so physically refreshed that they are motivated to start eating well for these first ten days, in order to maintain that good feeling." For a complete explanation, read Chapter 7: Colon Hydrotherapy in Ten Days to Optimal Health. Your healthy microbiome sustains you. An unhealthy microbiome kills you.